Fashion Week may be all about the clothes for most, but here on team Who What Wear Beauty, our eyes are laser-focused on the hair and makeup. After all, both on the NYFW runways and on the chic streets just outside are where so many interesting beauty trends are first born. 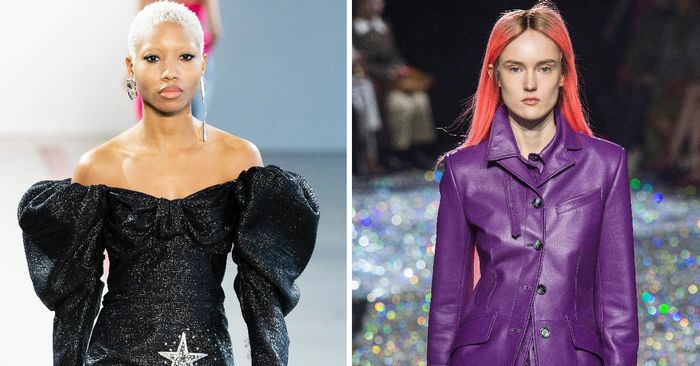 This season, we couldn’t help but notice a spectrum of intriguing hair colors pop up on runways like Marc Jacobs and Anna Sui, as well as on editors and influencers in attendance. The patterns show that 2019 is going to be a year when fashion girls experiment with short cuts and bright pastel shades (which might sound like an oxymoron, though you’ll see what we mean). Think mint greens and cornflower blues. “Derelict Easter Egg,” Who What Wear’s co-founder Hillary Kerr fondly labeled them. Curious to see the coolest hair colors we discovered at Fashion Week this season? Just keep scrolling.